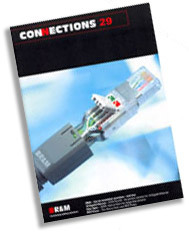 R&M’s customer Magazine CONNECTIONS is published three times a year. Reprints permitted with approval of the editor. • STAR Real10 - the perfect solution for 10 Gigabit Ehternet ! • RCO Power - the best power source since the invention of the socket!